Representation of the state seal at Rhode Island State House; photo by Martin Kalfatovic on Flickr (noncommercial use permitted with attribution / share alike). The use of the word "Hope" was probably inspired by the biblical phrase "hope we have as an anchor of the soul." 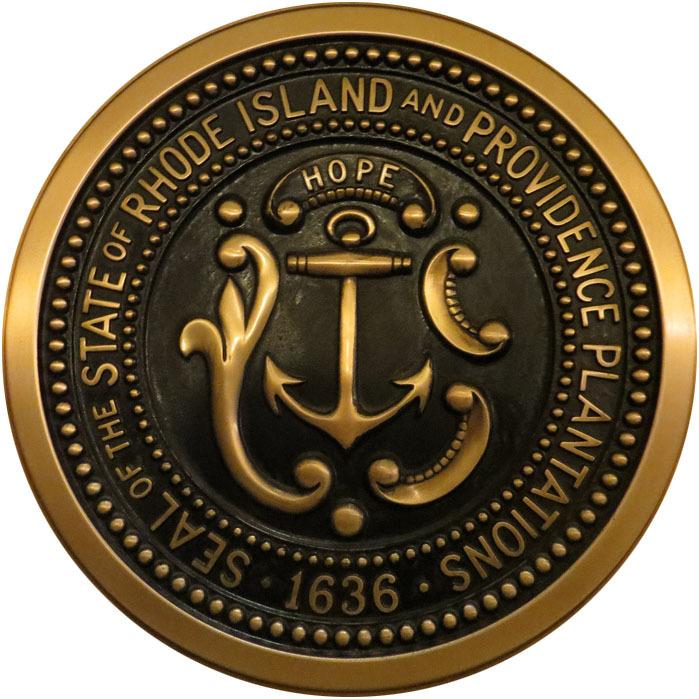 The seal also contains Rhode Island's full name: "Seal of the State of Rhode Island and Providence Plantations" (the longest name of any state). 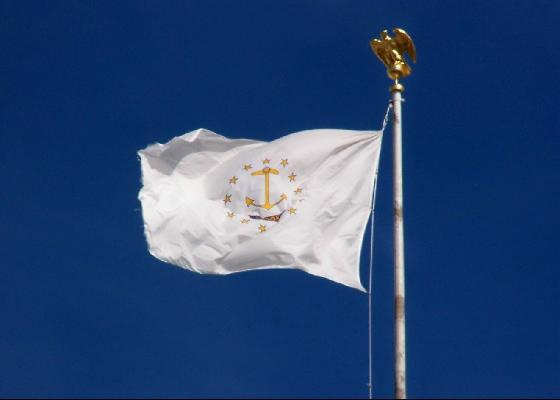 State flag of Rhode Island; photo by J. Stephen Conn on Flickr (noncommercial use permitted with attribution).